As some of you know I was admitted into hospital last week with some health issues after I woke in discomfort and having difficulty catching my breath. The previous day I had run in a Half Marathon and had struggled with a stitch from the outset which slowly turned into very shallow breathing and resulted in me walking some of the race (which has NEVER happened to me before, even when I first started running) I assumed I was possibly coming down with a bug and put it down to a bad day at the office but once my Dr. confirmed that my oxygen levels were very low and the right lung didn’t seem to be taking in air like the left it was time to go to hospital! I suppose in some part I also felt this blog would be useful in follow up from the very recent blog “excuses” as with our food, one of the multiple excuses I hear is regarding exercise, no time, too hard, too tired, bad foot etc. even when injured it IS possible to continue some form of exercises within your own limits. Two of our members Zoe and Carmel had injured their legs but instead of giving up and making excuses as to why they couldn’t exercise (both their main exercise of running definitely out – they mailed me straight away asking what CAN I do? So instead we focused on upper body toning with light, low impact cardio and floor exercises for floor and legs! Don’t think about all the reasons why you CAN’T exercise and instead think of the things you CAN achieve! So to start with I thought it would be interesting to see a few of the facts I found out about from two of my favourite long distance athletes who continued to run having fantastic running careers despite having Asthma – they cope so well I actually never knew until now! Another amazing Athlete is the four-times World and twice Olympic 10,000m champion, Haile Gabriel Selassie. Despite having being forced to retire from the Berlin marathon in 2011 after 35 kilometres, suffering from exercise-induced asthma – the fact that his long list of athletics achievements both before and after this event have shown that in spite of everything, it CAN be done. The positive running achievements FAR outweighing the negative! A little closer to home and one inspirational lady who has never let her condition slow her down. Despite being told that she couldn’t or shouldn’t put her body under stress due to her Cystic Fibrosis, Jillian McNulty from Co. Longford has shown that actually even with pain and suffering that her condition brings – you really CAN do amazing things. Jillian competed in the Spar Spartan Challenge last year and trained for and COMPLETED the Dublin City Marathon! And just a few weeks ago she continued with her positive spirit and attitude raising funds and awareness for Cystic Fybrosis when she cycled 185km across Ireland from Carrick on Shannon, Co. Leitrim to St Vincent’s Hospital Co. Dublin. In her own words Jillian describes her lifelong journey with CF and how she continues on a day to day basis to challenge herself and really live her life to the full. “Ok. Life with CF is challenging to say the least, it’s like a constant marathon to stay well day to day!!! One minute you can be feeling fine, the next crappy, things can change in an instant. In order to LIVE & stay as healthy as I can, I have a 2 hour routine every morning before I can even have a shower, consisting of nebulisers, chest clearance, more nebulisers!! The last 4 years have been my toughest, I’ve been at my sickest, in Jan 2012 while in hospital I had “the talk” about progression (CF is a progressive illness) with my doctor, or should I say she had the talk with me, she stood there telling me that this was it, my lung functions weren’t going to go back to what we were expecting them to (which was roughly 20% higher than they were) that I had to be realistic, I had Cystic Fibrosis, I was getting older, so things were progressing….I told her then & there she was wrong that I WOULD prove her wrong. Then a few days later I saw an ad for the Spartan Challenge, where 26 people are chosen to train for the Dublin City Marathon. I applied online instantly. When I broke the news to people I had the most sympathetic of looks, here I was spending practically 8 months of the year in hospital, I could barely walk a few steps without needing to take a break. I KNEW what they were thinking, she won’t be able for this. I told my team my plans & needless to say it didn’t go down to well lol I had just applied & if I’m honest I didn’t think I stood a chance of being picked but regardless I started walking, at first I could only comfortably manage about 1 km, but over the weeks/months I gradually built it up, in April I was chosen to represent Longford as Longford’s Spartan. Then I was admitted to hospital for a month & with the help of my fantastic physiotherapist Denise I ran for the first time in my life, over the next 5 weeks I ran each day on the treadmill & by the end of it, I was running!! I had 5 months to train for the Dublin City Marathon, I ended up being in hospital with exacerbations for 3 months of that. I spent the full month of October in hospital really sick pft’s had drastically dropped, Marathon was October 28th!!! My consultant told me he didn’t think I should go ahead, that I wouldn’t be able for the marathon, he was worried about the effect it would have on my body. In tears I told him this was something I wanted to do more than anything. He knew he faced his toughest challenge trying to stop me lol! It was agreed that IF I could do a 16 mile course around Dublin surpervised by my physiotherapists that MAYBE I could do the marathon, a week before the marathon the 16 mile course took place, 4 physiotherapists surpervised me in laps of 4 miles each & I DONE IT, yet my consultant still said no, I wouldnt be able for 26 miles so soon after the 16 mile lap. I decided the Friday evening before the marathon I was signing myself out, I was doing this with or without my teams consent, my consultant said to me “you really want to do this don’t you” I said YES! I’m DOING it. Lung function tests were arranged for 3pm, miraculously they had jumped back up! There was no stopping me!!! 3 days later myself & Spartan trainer Karl Henry set out on the course, just over 8 hours later I crossed the finish line, one of the most amazing moments of my life, something I will never forget! 8 months later in June 2013, I completed a 200 km cycle with a great bunch of people, we cycled from Leitrim to St Vincent’s Hospital, Dublin to raise funds for Cystic Fibrosis & St Vincent’s Hospital, the cycle was in honour of my friend Eleanor who had died from CF in December. What’s next? Next week I’m being admitted to hospital again, my first admission in just over 5 months, but silently I’m planning my next “challenge” now my team just ask what I’m doing next, they know I’m CAPABALE of anything regardless of my CF, I’ve been told by my doctors I’ve set a new bar for people with Cystic Fibrosis. The grit and determination to rise above illnesses or disabilities is incredible, whether it’s just on a personal fitness level or whether it is taking that one step further pushing into the competitive field – the power of positive thinking and looking for an alternative solution instead of giving in is really inspiring. It really makes me appreciate my own health. I am an able bodied and healthy person – I am blessed to have good health, but also makes me feel slightly ashamed of my pre-exercise ways – when I made my own “reasons” (excuses) as to why I couldn’t exercise. No time, too tired – or whatever! When I look at all the amazing people who have to live with disabilities or injuries and yet continue to shine, it really does make you think. Exercise is not the be all and end all in life – but SOME exercise each day is the key to achieving both health and fitness benefits as well as of course aiding your weight loss journey and helping you to form better and more importantly long lasting habits going forward. I’m not suggesting for a second that you jump up and attempt to become the next gold medalist – but perhaps just to reevaluate your reasoning for NOT being able to fit some form of exercises no matter how minor, into your daily routine, making your weight loss journey not just a diet – but a new way of life. Working through and improving your own health in the process! I had a lovely lady in the bed next to me in the hospital who was on oxygen with emphysema and pneumonia and absolutely determined with the health scare that landed her in hospital for the first time she is taking everything she is being told on board! Despite admitting to being inactive for the last few years – she has taken this as a reality check and said “I either do this and make the changes, or I choose to let myself die…..I’m choosing to live“. She marched on the spot, next to the bed with the oxygen mask connected – determined to make the changes no matter how small and gradual they are. Small steps all add up to big changes, both with food and exercise – so why not make one small change today and make a start on a fitter future! Don’t let your health issues get in the way of your life and remember, it is never too late to start on improving your health and fitness! 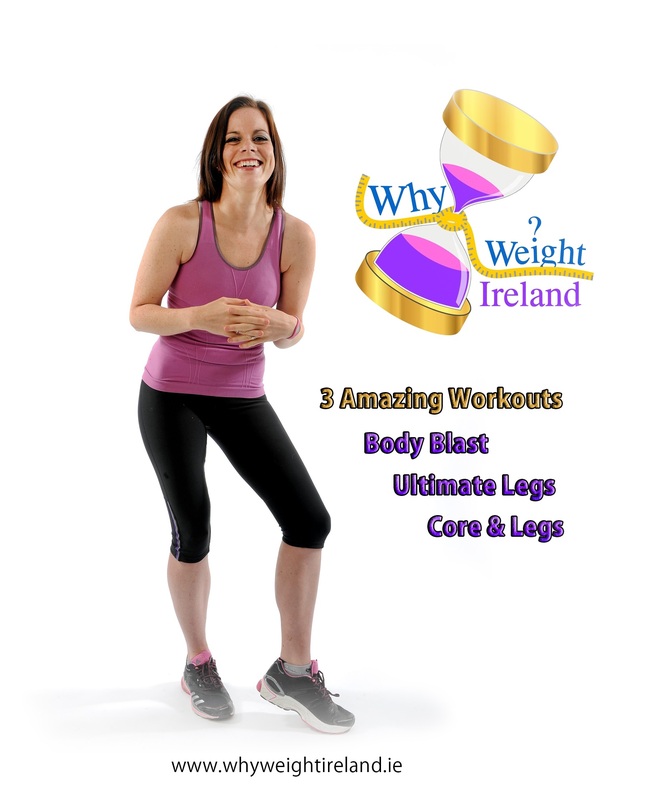 The Why Weight Ireland Total Body Tone DVD is NOW ON SALE – Purchase your copy today by clicking the ‘Buy Now’ button. I attended some of Hannah’s classes when they first began and I loved them but unfortunately due to shift work I just wasn’t able to fit them in. I was so happy when I could purchase the DVD and wow it is like being in Hannah’s classes all over again! I do a half hr work out a day and I suffer from the same complaints I did when in her classes i.e. sweating, sore joints the following day! :) I can really see how this DVD will benefit me already! Take a 2 Day Free Trial today – Click the activate button below for your 2 days trial of our online food & exercise diary. Once your trial is complete you can visit our Prices & Signup page on our website and select one of our memberships to continue and receive the benefits of being a full member. You are under no obligation to signup and there is no prepayment required. 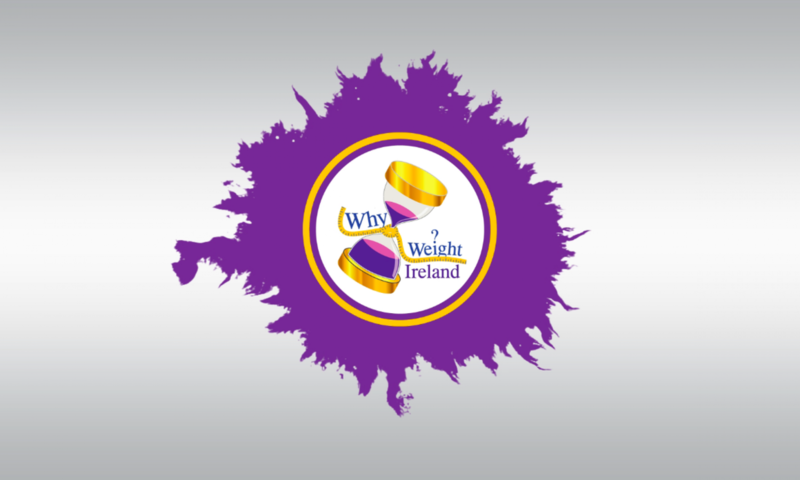 You can click the following link to subscribe to our Why Weight Ireland Newsletter for monthly news, tips & advice.